Kenny has made great points on PL and OL, the differences and the similarities. They actually do go hand in hand, IMHO. Kenny and I are the same age, and probably started out in the same manner. First up, get stong;. ie learn the squat, deadlift, powerclean (learning how to get the barup to the shoulders for the press) and pressing. Once that strength base was attained, the focus (mine anyway) shifted to O lifting for sport training. At that point, squats, benches and Olympic pulls off the floor;i.e the strength movements, became assistance exercise for the "fast lifts" (Olympic lifts). They just kind of worked hand in hand together. Somewhere in the early 60's, a lot of weight trainers got to really like the assistance stuff, and started competing them in the "Odd Lifts", which at some point turned into the Sq, BP, and DL and powerlifting was born. Later on, the Clean and Press was dropped from the O lifts, and the two grew father apart as much less emphasis to the upperbody push iin the O lifts, , but still, today,the dynamics of OL and the limit strength of PL complement each other quite nicely. What I am saying is don't believe everything that someone writes. That includes the information that I post as well. Make them provide research data that backs up their statement. Then, do your own research to make sure the data is correct. Sometimes after reading a reseach article that I question, I go to the library and look up the resources that are quoted. I spent one afternoon at the Cal State Library in Fullerton, CA going over the resources quoted in the article. What you often get is a better understanding, more indepth data. You also fine out if someone is bending the information to present their view point or providing you with unbiased information. That's an awesome philosophy that everybody should adhere to. 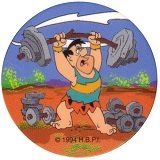 The thing is i have been doing pretty much the same workout i think bob is in the beggining phase of weight training where your cautious dont want to injure yourself but dont want to baby yourself either. Kenny if you want email me that e book if you can on here if not ill message you my email address. I am in the beginning phases of weight training. I retired from the retail nursery business two years ago because i wanted to go back to school. I couldn't while i was working because the hours conflicted with school, plus i had a family to raise. So now i'm taking classes at my local community college in weight training, kinesiology, sports nutrition/ physiology, cardio-respiratiry training, etc. Just started last semester. So i come hear and bend people's ears. Kenny is right. Take everything you read with a grain of salt. I always check out what i read to either confirm or reject its content. I live over in Orange, CA. I understand they do have a great Kinesiology School over there. corless319 wrote: The thing is i have been doing pretty much the same workout i think bob is in the beggining phase of weight training where your cautious dont want to injure yourself but dont want to baby yourself either. Kenny if you want email me that e book if you can on here if not ill message you my email address. Please put EBook Plyometric in the "Subject" line so that I know it not junk mail. I understand. There is a lot of stuff on line. Pubmed.com is a great source. T-mag.com is another. Once you computer is up, you can check out these sites. Unfortunate, I am more that just "Woman Illiterate." I fall more into the stupid, idiot catagory. I am the last guy on this planet that know how those creatures work. Kenny Croxdale wrote: Unfortunate, I am more that just "Woman Illiterate." I fall more into the stupid, idiot catagory. I've been married over 20 years and have 2 daughters and I still don't understand them. I live in Walnut, not too far from you. Also, i've been married for 25 years and i have to say i don't know my wife any better today than when i met her.